What are the pros and cons of SkyPrep? The main pros of SkyPrep are its tools to streamline internal, external, and compliance training as well as employee onboarding. It is considered one of the easiest to use LMS with intuitive features, simple design and navigation. However, it could do well to further fine-tune its search function for finding files in a content/course library. Overall, SkyPrep is a good investment if you’re looking for a flexible, cost-effective LMS with reliable customer support. There are hundreds of learning management systems (LMS) in the market today that you would be hard put to narrow down your choices. What should you look for in an LMS if you’re considering getting one for the first time? First, determine what you will use it for. Is it for educational purposes or corporate training? There are LMS designed for the specific needs of schools or companies alone or a general LMS that can handle both. SkyPrep belongs to the former as a corporate LMS. We put the SkyPrep to a test drive to help you assess the solution better and faster. In the meantime, if you want more choices you can check our top 20 LMS here. Employee training and development can provide companies with a lot of benefits. According to one study, 70% of employees report that job-related training directly influences decisions to remain with a company. Employee retention is important in light of the fact that losing an employee cost 3X more than their salary. Another truth was also revealed by a survey – employees crave for professional development. Majority of employees want to learn more in order to boost their career. In addition, companies that regularly send their employees on training programs have experienced higher rates in productivity and increase in income per employee. With our SkyPrep pros and cons guide, you’ll be introduced to one of the leading corporate LMS solutions that can help your company achieve its business objective your employees attain their professional goals. But first, let’s get to know what SkyPrep is. SkyPrep is an online LMS platform specifically designed for companies, businesses, and organizations. It simplifies learning management processes for companies through intuitive tools, easy-to-use features, and powerful capabilities. It is a cost-effective, compact, and modern solution for businesses looking to continuously develop employees and efficiently train customers and partners. Its multi-audience training ability makes SkyPrep an ideal LMS for organizations of whatever size and industry. It has been used by a diverse group of businesses like Viking Cruises and Telefilm Canada as well as institutions such as YMCA and the Oklahoma State University. Currently, SkyPrep services the training requirements of over 500 small, midsized, and large organizations worldwide that have produced more than 850,000 courses for 250,000 plus trainees. You can try all its premium features at no cost when you sign up for a SkyPrep free trial here. SkyPrep specializes in delivering smart and automated learning solutions for four areas – internal training, onboarding, compliance training, and external training. It enables you to optimize your online training through robust content and course management, wide customization, effective user management, advanced analytics and reporting, deep integration with third-party apps, and enterprise-grade security. In addition, you get full SCORM support, mobile capability, automated feedback and grading, audit-ready certification, ILT and webinars, and open APIs. The software works with multiple formats, provides audit-ready certifications, offers full custom branding, and lets you create unlimited courses and assessments, among others. SkyPrep is highly rated by users for its intuitive UI, easy navigation, and uncomplicated features. It requires no steep learning curve and very little training to use the platform. It allows you to streamline your training while being compliant with learning industry standards. You get a scalable and flexible platform regardless if you train just a dozen employees or hundreds of them, without losing sight of learners, courses, and progress. Being SCORM compliant, you can upload and reuse content as many times as you need to without having to upload it again. Further simplifying the process is the system’s capability to handle any type of file and multimedia materials – PDFs, PowerPoint, embedded links, HTML, images, videos, etc. With drag-and-drop functionality, you can add and edit elements of your content and create courses in minutes and deliver them online to your trainees no matter where they are located. You can build comprehensive courses directly from the app, link and categorize courses to build learning paths, and create surveys and tests through automated grading. Continuous employee training is important to keep your employees engaged and motivated and your business competitive and growth-driven. As such, all of SkyPrep’s plans offer unlimited creation of courses, content, and assessments. This allows you to craft skills development programs that can be implemented in stages depending on the learning needs of employee groups and units. You can start with basic courses and proceed to more advanced training according to the learning path that you can create with the LMS. SkyPrep enables you to roll out an ongoing proactive training program to keep your employees engaged and your business responsive to changes in organizational structure, market conditions, customer tastes, technology and processes, and other internal and external shifts. More than half of all companies experience new hire attrition within the first six months of employment. The main reason for this is poor onboarding. SkyPrep is intended to help you come up with a comprehensive onboarding plan and approach in order to eliminate employee turnover and productivity loss. With SkyPrep, you’ll be able to craft more focused training for new employees that will deepen their knowledge of their role, orient them with company processes and policies, and equip them with the know how to deliver results. Through effortless content creation afforded by the LMS, you can produce courses that reinforce your company culture and establish your brand so that new hires are deeply ingrained with the corporate environment they are in. By effectively conveying your organization’s mission, ethics, and employee-centric values through finely-crafted onboarding courses, you instill a sense of belongingness to new employees while showing that your company cares enough to provide them with all the resources and tools they need to succeed. One of the many highlights of SkyPrep is its powerful analytics and reporting features to keep you on top of what’s going on. You get to keep track of how your trainees are doing through spreadsheets or visual reports for easy compliance and audits. SkyPrep can drill down on student details and learning progress, analyze course impact and effectiveness, and provide real-time data reporting. In support of consistent employee development, SkyPrep makes your content available on demand and centralizes your courses from one location. You’ll also be able to accurately measure the effectiveness of your training with the system digging deep into learner data to provide you with insights. You’ll know which courses have the greatest learning impact on employees and what content needs tweaking to align with employee performance and training goals. SkyPrep gives you a range of reporting options and multiple reporting levels including ser reports, course reports, group reports, and summary reports of all your training courses. You’ll always be in the know when it comes to your users and courses as the system provides performance profiles on those two categories. Automation kicks when it comes to assessment grading and feedback with SkyPrep analyzing how the student fared. Likewise, it is also able to automatically generate certificate awards once trainees have completed their courses. Full workflow automation is enabled for enrolling users in courses. Users of the software are one in saying that SkyPrep has one of the most responsive customer support teams around, always ready to provide expert assistance on anything product related. You may not even have to call customer support since the vendor provides a comprehensive self-service knowledge base portal with dozens of answers to FAQs. The huge information hub is filled with tutorials, how-to’s, product documentation, and step-by-step guides. There is also a blog for company and product news; a resource page for software, security, and system updates; and case studies of selected clients. 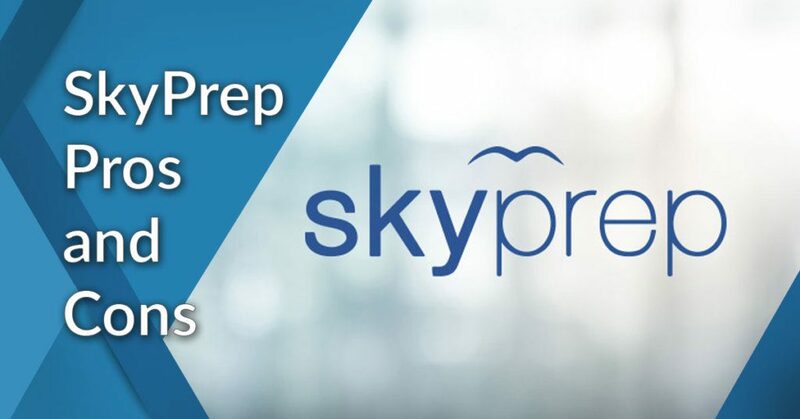 SkyPrep offers four flexible pricing plans – Starter, Advanced, Premium, and Enterprise. All plans come with an unlimited course and content creation for unlimited registered users. The tiered pricing is good for a certain number of active users. For example, the Starter plan allows for up to 100 active users or course enrollees and two administrators. It is priced at $440/month or $349/month if billed annually. This boils down to just over $4 for each of your 100 trainees, giving you value for money with a feature-rich and solid LMS training solution. Need to enroll over 500 students?  No worry, the vendor will craft a special package through its custom-priced Enterprise plan. That’s just the thing – our research into customer complaints and issues came up virtually empty-handed. SkyPrep just about covers every corporate training need with organizations that use it voicing a collective nod of approval and satisfaction. There are a few instances of customers wishing that particular features be added such as more intuitive search function when looking for content and courses in the online repository and being able to do tests offline. These have since been added to the platform, and more new features have been introduced from customer suggestions. This makes the software a dynamic and continually improving platform attuned to the requirements of its thousands of users. You can take the software for a test drive and experience first-hand how it works. Simply sign up for a SkyPrep free trial here.